Are you asking the right questions when it comes to finding the right senior care solution for mom and dad? Finding the perfect senior care community for a loved one can be a long and tedious process. That’s why we have created this easy to follow compare guide to help you in your evaluations. Is the community calm and inviting? Is the community clean and promotes a healthy atmosphere? Is it easily accessible to visiting friends and family? Do the residents look content? Does the staff seem friendly, helpful and engaged? What are the types of amenities being offered? What types of activities and opportunities for social interaction does the community have? How often? What types of fitness or therapies are offered? Are other personal care services offered such as hair care, eye care and dental? Is there transportation available to and from appointments? 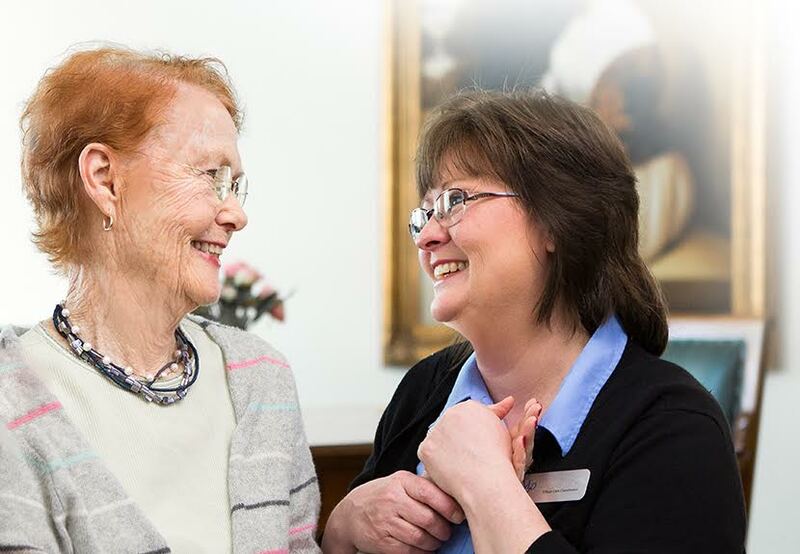 What are the options for supportive or memory care services? What is the assessment process for your memory care services? What is the extent of personal care assistance? What determines level of care? How are care plans developed? What if more care is needed in the future? Is there an emergency call system in the building? How many meals are served per day? Are snacks available? When are meals served? Can applicants try a meal? How are dietary restrictions handled? Is there a private dining room? How many apartments are in the community? Is laundry and linen service provided? Do you offer special care apartments if needed? What are the guidelines/restrictions on room décor? Are there safety features in each room such as handrails, call buttons and alarms? Are the common areas easily accessible? Can I see the community’s resident handbook? Who decides to call 911 in case of an emergency? What are your emergency preparedness policies? What types of emergencies are the staff trained to handle? Is staff readily available and on-call to assist? How accommodating and welcoming is the staff? Is there a registered nurse on staff at all times? Is the staff trained to assist residents with varying forms of dementia? What type of training has the staff completed? What are the costs associated with the community: rent, care, services, and meals? How much would costs increase if the level of care increases? Are there any extra costs associated with living in the community? What is the security deposit or entrance fee? Are they refundable? How are rate increases handled? Featuring well-designed apartments, delicious chef-prepared meals and individualized support, Mansfield Place senior living provides the level of personal care your family member deserves.